When I first got my Festool Sander, an ETS 125, followed several months later by a 5″ Rotex RO 125 FEQ, I immediately noticed how much longer Festool Abrasives last, compared to other name brands I’ve used. Because of their longevity, and the associated cost, I hoped to use some again. However, I was flinging used disks with no particular pattern. This random orbit disk random flinging technique wasn’t getting it. Some organization was needed. When working on a small project, like this stool, I usually sand all the panels with one grit before moving to a higher number. 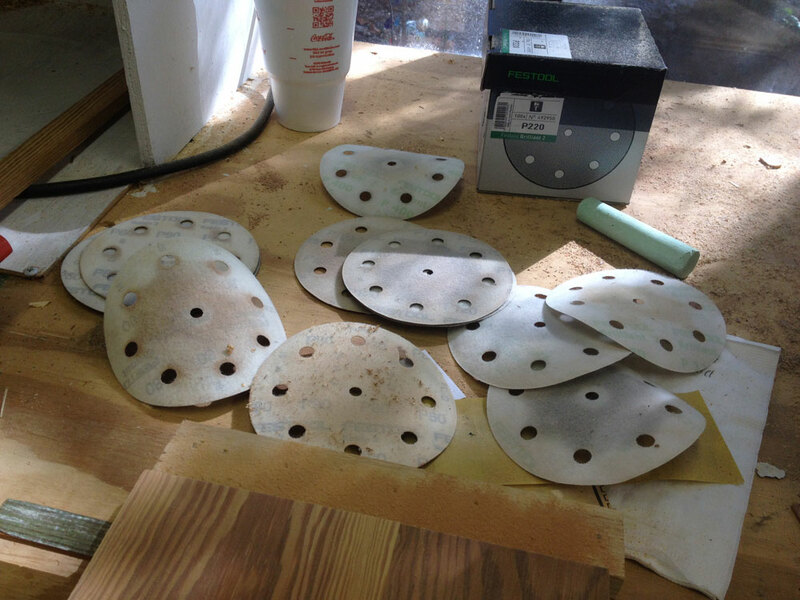 My new routine is to keep one of my sandpaper-slicing jigs handy and, as a disk dies, slap it scratchy-side-down onto the jig with the three middle holes lined up on a scoring groove. 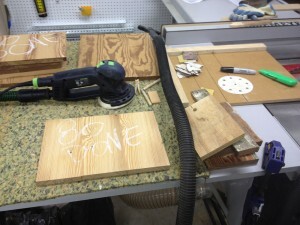 Using the jig you use to cut sandpaper for your quarter-sheet sanding pad, just line it up and follow the dado. Haven’t made that jig yet? Click here to follow the steps. 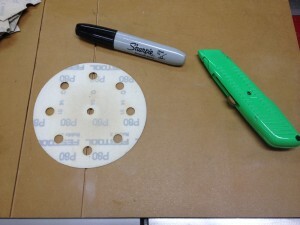 Flip out the retractable knife and cut it in half, rotate 90?, cut again and you have four little pieces of sandpaper that can be used for hand-sanding. If one is too worn out, you’ll know quickly, and you can pitch it. This technique eliminates using tired, old disks that might otherwise get into your “good, but used” stack. If one of your cut-up sandpaper remnants doesn’t have the grit imprinted, take a few seconds to jot it on the back. You’ll be glad you did! Hi, Jim. I enjoy your tips for frugal woodworkers like myself, but was a little surprised to see that you both mislabeled and misspelled the wood that you used for the stool. 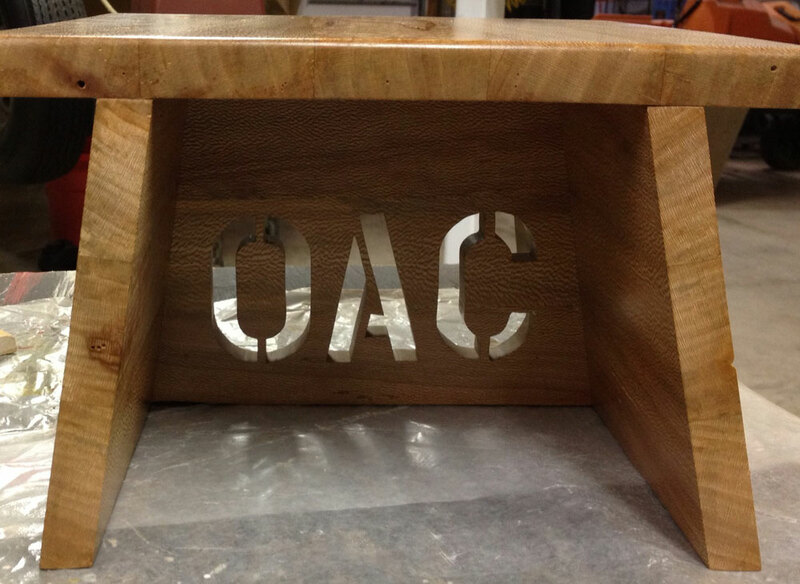 It should read “sycamore”, not oac [sic]. Of course, were in labeled properly, you would have had to stretch the stool out into a bench, so perhaps it is for the better! Thanks, Isaac. I’d also have to convince our son and daughter-in-law to rename their son from “OAC” to “Sycamore.” Thanks for reading. I always enjoy our readers’ comments! 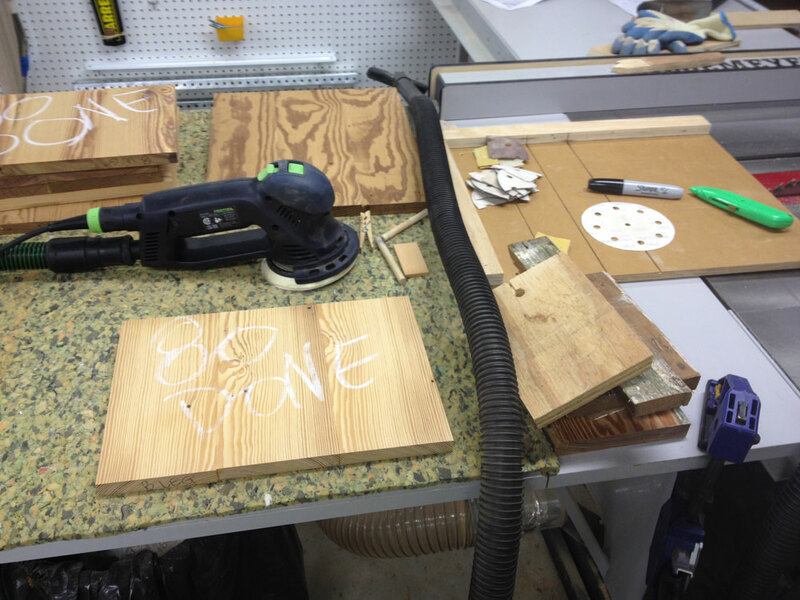 Tips from Sticks in the Mud – May 2016 – Tip #1- Counting Sanding Passes POLL: Do you ever get into the Zen of hand sanding?